The fact that top 3D printer manufacturers are building their ecosystems to integrate platform and marketplace for downloading and sharing digital design files is far from new for the industry of desktop 3D printers. Indeed, some independent companies are completely dedicated to running repositories of 3D printing designs. But more recently, a new entrant to the market, Shapetizer, launched an online printable 3D model marketplace for its beta. Shapetizer's online platform features the company's all-inclusive range of 3D printing designs. Once registered, users have the right to 3D print these designs and models as they like, either for free or as a paid service. They can choose to download the design, print the source file in STL or use the 'stream print' function since, out of concern for IPR (Intertexture Property Rights) protection, some files are not available for download. 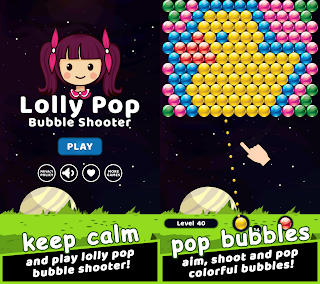 There is no shortage of websites dedicated to the sharing of digital design files in 3DPI. People can find 3D printing designs of cups, vases, photo frames and jewelry with no difficulty. However, what sets Shapetizer apart from other companies out there, is their ability to allow (or encourage) customers to 3D print the things that interest them. Users can 3D print objects for everyday life; they can also 3D print animation characters, or anything they like. Even more interesting is that some of the final products of these designs are construction or model toys that can be assembled, painted and played with. "The message Shapetizer is trying to convey is that personal interest comes before 3D printing," explains Sophie Zhang. "Even people who are not technically minded can find their own joy and fun in this repository of ingenious designs. We actually don't dig into and emphasize the technology part of 3D printing. We just want to let the ordinary individual find a new way to explore his or her interests by 3D printing it. During this creative process, of course, you need to use 3D printing, but it is not that 3D printing works magic on your object of interest. It is that your interests work magic on 3D printing." Not all the source files of the displayed designs are available for "download-print", instead, they can be printed through a connection to the cloud. As one Shapetizer engineer explains, "What we are really trying to do is to give another option, a kind of technical protection, to designers who want to prevent their design works from being distributed and changed without their author's approval. We deeply understand that quality designs are the brainchild of designers, and should be treated as a piece of art work, exactly the same as a painting, a book, or a song. Our goal has always been to promote a win-win relationship for customers and for designers. With this in mind, we are exploring ways to protect the intellectual property rights of designers and their works. And to that end we have worked out a technical solution, which is 'stream print'." 'Stream print' is an effective way to protect copyright, since the designs can only be processed and printed via a connection to the cloud; therefore, users are not able to freely download, distribute or change the source files after payment. This method, however, is not exclusively beneficial for designers, since customers just make micro-payment for print right and can enjoy multiple prints within a period of time. As with any industry that is closely related to IPR, in the field of 3DP, unauthorized copying, tampering and distribution also drain designers' enthusiasm and passion for creation, and can further hinder the sustainable development of the whole industry and Shapetizer is not a pioneer in terms of considering copyright issues for designs. A Google hangout to discuss the issue of copyright protection in 3DPI was held by Youmagine on March 18th. Youmagine is an organization which has long been dedicated to producing a 3D Printing License system (3DPL), while Shapetizer is taking the initiative by playing the role of technology provider, handing decisions back to designers. As the chief strategy officer of Shapetizer states, "We show full respect to the designer's personal wishes. The final decision is definitely up to them, and they are completely free to decide whether the source file should be downloadable or cloud printable." During the present stage of invited registration, Shapetizer's website is compatible with many types of printers, mostly open-sourceRepRap printers such as Ultimaker and non-open source Makerbot. Its engineers are now working hard to make further adaptions and to ensure its platform is compatible with other popular 3D printers. According to its development schedule, an increasing number of 3D printer types will be included in the compatible system in the near future. Shapetizer believes that these efforts will help to change 3D printing from a tech enthusiast's privilege to the general public's pastime. The inclusive system can significantly liberate customers from investing the time and effort needed to adjust to different 3D printer settings, layouts and routines. As a result, everyday users will get a smooth and integrated, quick and easy user experience, while saving time and enjoying the sheer pleasure of 3D printing. "Every effort is for manufacturers and for our common customers"
Consumer 3D printing is experiencing an explosive development globally with the unrelenting tide of new printing technologies and printer manufacturers. With continuous improvements being made in printing speed, resolution, reliability and materials, 3D printing technology has developed greatly over time. For most of the 3D printer companies, concomitant with the demands of newly emerging technology and industry expansion is the provision of good 3D printing designs for customers. Shapetizer's strategic outlook is that good designs are pivotal for 3DPI to build market appetite and engage users. It is as a result of this insight that Shapetizer has expressed a strong desire for cooperation with more 3D printer manufacturers, particularly open source manufacturers and resellers. "We are happy to provide subsidies and other forms of support to all 3D printer companies, becoming their trustworthy source of quality designs," says Sophie Zhang. "With the help of Shapetizer, 3D printer manufacturers will surely enjoy reliable access to copyright-protected and printable 3DP designs, which are excellent and attractive as well, of course. Together we will create an unforgettable experience for our customers." 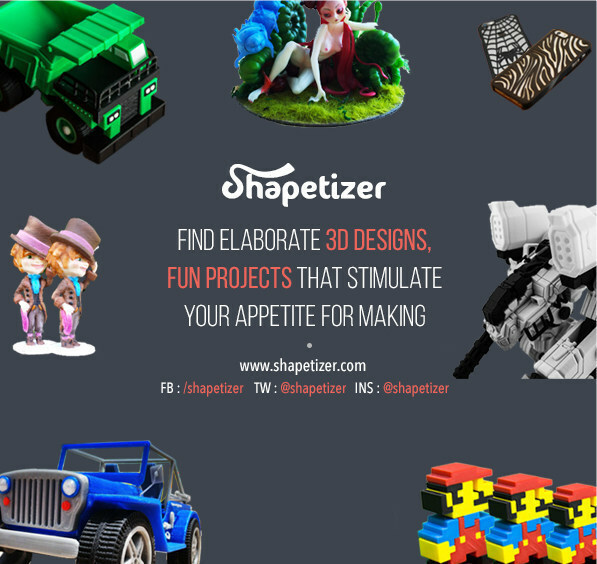 0 comments on "Shapetizer Launches 3D-printing Marketplace for its Beta"